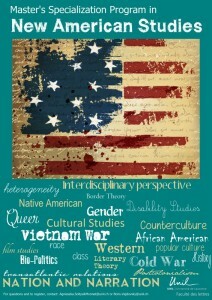 The New American Studies specialization program is a 30 credit program that Faculty of Letters MA students can add to their Master’s study plan to acquire a 120 credit MA with specialization. The intention to take the SPEC program should be announced to the Decanat (and to us — Boris and Agnieszka) at the end of the first year of your Master’s. Ideally you would take this program before writing your mémoire. The program is open to students of the English Department or students with a BA in English, but students from other departments can apply and their demand will be considered. Also, students doing their MA in a sister university in Switzerland can come do the New American Studies specialization at UNIL.